Got all my parts and will be building my first ever rig! I've been reading the forums here for quite some time and have learned a ton from you guys. I finally took the leap to try and build one myself. So far this morning I have the CPU installed with the heatsink. It was kinda hard to get the heatsink lined up to bolt down. It kept sliding around a bit so I hope it didn't mess up the Artic Silver too much. I used the line method on the thermal paste. The OCZ Reapers are huge with their copper heatsink tubes sticking out of the top. There would be no way to install 4 of these with this mobo and heatsink. I had to use the 2 outer slots but the one right next to the Thermalright was a tight fit. I'll be taking pictures as I go along and post updates. I don't have much done yet but here are a couple pics from this morning. Re: Got all my parts and will be building my first ever rig! Congrats on building your first rig. Your fan is mounted the wrong way though. 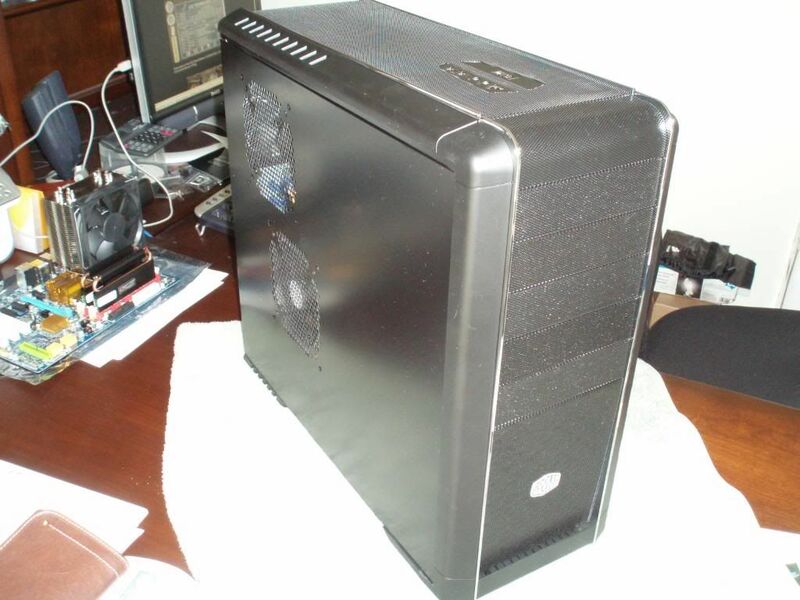 The way it's facing now, is that it will pull air away from the heatsink. 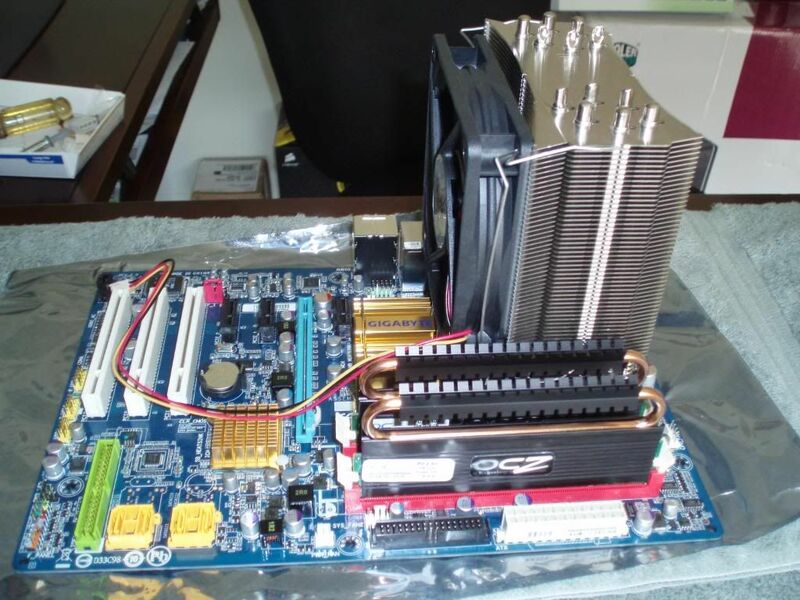 What you want, is the fan blowing air towards, and into the heatsink. So flip the fan around. 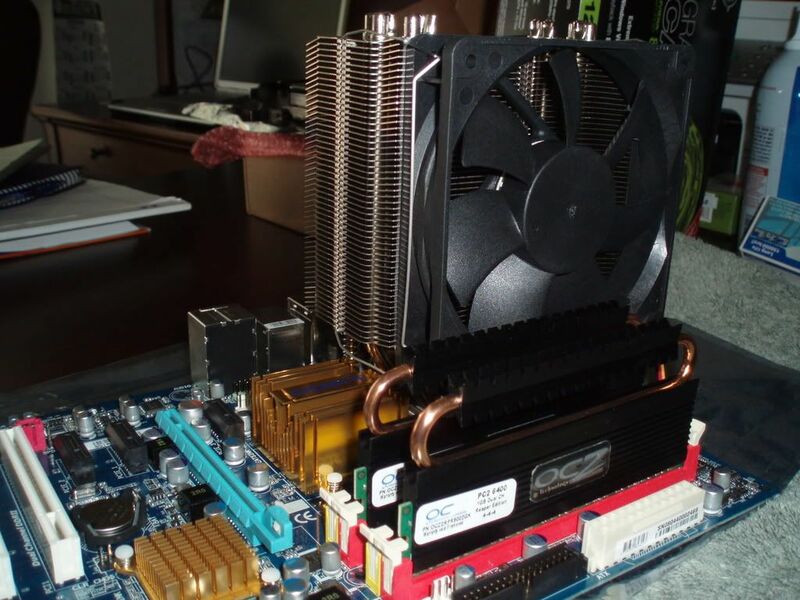 Not that it's wrong, but was there a reason you mounted the heatsink in horizontally? Most TRUEs are mounted vertically. 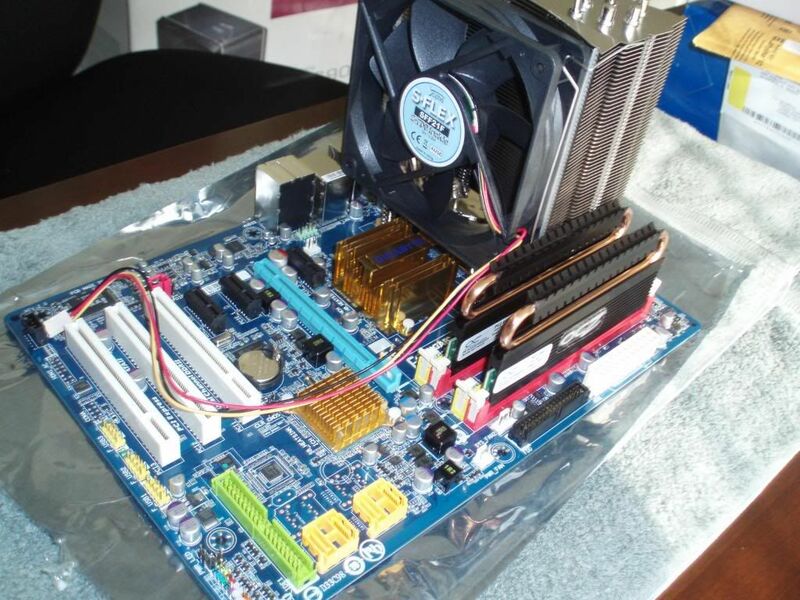 It would still work out though, if you flip the fan, because the fan will blow air upwards into the heatsink, and the top fans of the case, will take out it's heat. That's if you have top fans as exhaust. But if you don't, I would suggest you mount it vertically, so that the heat will be taken out by the rear exhaust of the case. Ok, I flipped the fan around. I wasn't positive which way it went when I mounted it the first time. I mounted the heatsink that way because I was afraid if was going to get in the way of the GPU. I could rotate the heatsink around but the thermal paste has been on there for a couple hours now. Do you think I'll mess up the paste even more if I disturb it now? I would of suggested re-mounting the whole thing again, to be safe. 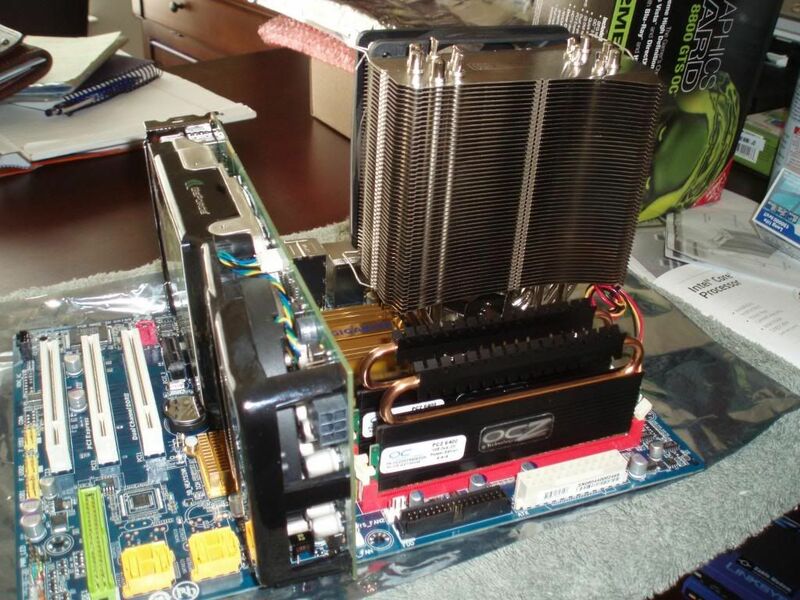 But you can keep heatsink mounted that way, if you put a fan on the top, for exhaust. Ok, I flipped the whole thing around. Does this look right? It seems to make sense as it opened up the other DIMM sockets, though I won't be needing them. 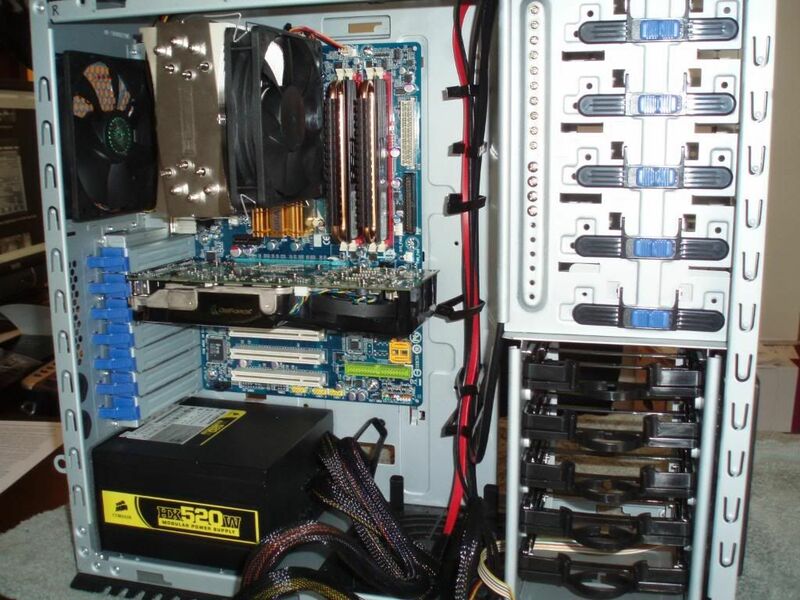 And there's plenty room for the GPU. Sorry I'm such a noob at this. Thanks for your help! Nice, but the fan is mounted wrong again. Now the fan will be blowing air into the heatsink, but the heat from it will stay in the case, because it's going away from the rear exhaust. 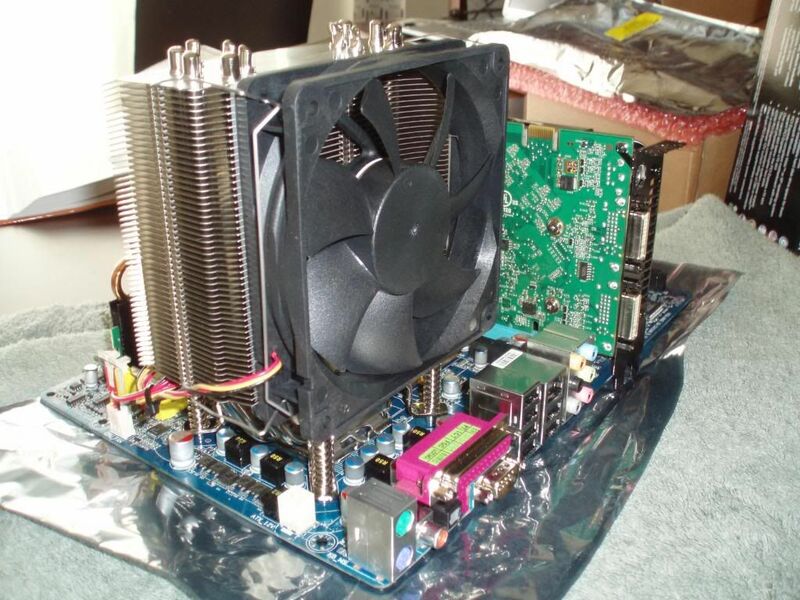 The fan should be mounted on the other side of the heatsink, with that same side facing outwards, so it can blow air through the heatsink, and into the rear exhaust. Dang. I wish they would put on these fans the direction of flow. Ok, switching it around again. Ok, only took 3 times but I think I got it now! Now moving on to installing it in the case. Its starting to come together. Here's the mobo, 520HX and 8800GTS installed. Cool. When you're all done, post your wire management in the wire management thread, over at the overclocking section.